7th Rangers: Arseholes and Leftist Useful Scum mocked Donald Trump - Sweden: 3 people shot dead in Internet cafe. Arseholes and Leftist Useful Scum mocked Donald Trump - Sweden: 3 people shot dead in Internet cafe. EOTW : (Malmo) The other year everybody mocked President Trump when he pointed out the rise in crime in Sweden. And since then the rate of shootings, grenade attacks (yes grenades) and even attacks on the Police have risen resulting in more than 320 acts of violence with a firearm being registered and over 40 people killed. 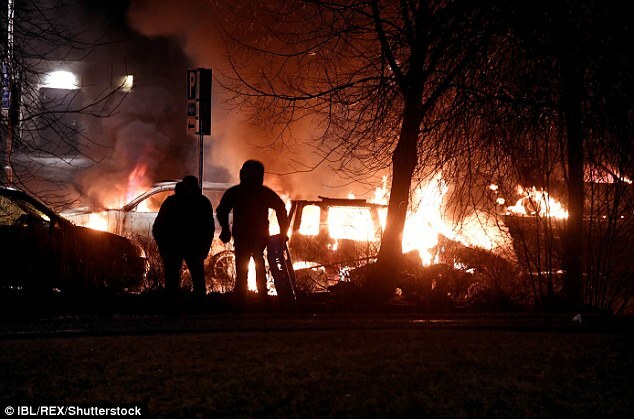 Well over the weekend in the not so peaceful city of Malmo the violence that has beset Sweden continued when a turf war between immigrant gangs resulted in a gun attack on an internet cafe where 3 youths were killed with another 3 injured after somebody sprayed them with machine gun fire. The police have stated that the victims were all criminals and known to the them.